ClearCorrect invisible alignment braces are the clear and simple way to straighten your teeth so you can show off your smile! Are you looking for an alternative to metal braces? ClearCorrect is the clear and simple choice. No wires. No brackets. Just clear, convenient comfort—every reason to smile. With ClearCorrect, we straighten your teeth using a series of clear, custom, removable aligners. Each aligner moves your teeth just a little bit at a time until you eventually get straight teeth. 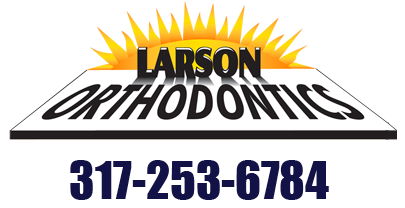 Dr. Larson prefers ClearCorrect over the Invisalign ® alignment system. He believes ClearCorrect is more adaptable to in treatment adjustments and is the more economical choice. While ClearCorrect and Invisalign® are similar, Dr. Larson feels ClearCorrect is more user friendly for both the patient and the orthodontist. Watch this Clear Correct 101 video and find out more.